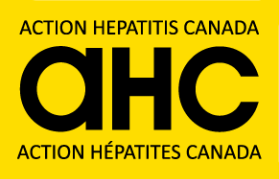 Effective April 2017, Alberta Health has expanded access to treatments for hepatitis C in line with what the provinces of British Columbia, Ontario, Saskatchewan, and Québec have just done (Alberta expands drug coverage for hepatitis C patients). As Dr. Shafran, who is clearly worried about continued restrictions, says, “The funders have now opened the doors to let us treat people with mild liver disease … if they have one of several types of conditions, such as HIV, fatty liver disease, chronic kidney disease and diabetes. The percentage of patients I have to tell we can’t treat this year has at least gone down.” When asked, “What will you tell patients who don’t qualify for the new therapies?” he said, “The health-care budget … is for everyone and every illness and there are a lot of competing demands. I’m hoping that the rules change. I really believe we will eventually get an open season on treatment.” (Wiping out hepatitis C: Alberta doctor explains access to game-changing drug for patients). Take away message: Thanks!!! But the drugs are still too expensive and out of reach for many in Alberta! Good news from the USA: The U.S. Food and Drug Administration today approved supplemental applications for Sovaldi (sofosbuvir) and Harvoni (ledipasvir and sofosbuvir) to treat hepatitis C virus (HCV) in children ages 12 to 17. Harvoni and Sovaldi were previously approved to treat HCV in adults. These are the first direct-acting antiviral treatments approved for children and adolescents with HCV (U.S.: FDA approves two hepatitis C drugs for pediatric patients). As previously reported in the Weekly Bull Feb 17, 2017, in my investigations of the relationship between heart disease and HCV, I became aware of a report from the Japan Pharmaceuticals and Medical Devices Agency, Harvoni, Sovaldi under Review for Risks of Hypertension, Cerebrovascular Disorder, (you can also view the pdf “Summary of Investigation Results” here: https://www.pmda.go.jp/files/000212953.pdf). However, in the original post, I had erroneously said that the risk of cerebrovascular events (stroke) and hypertension (high blood pressure) were listed in the Black Box Warnings on the package insert in Japan, which they were not. In Japan the post-marketing incidence of stroke and high blood pressure were only listed as adverse events on the package insert; it was concluded that in the absence of more robust data the post-marketing cases alone were insufficient to demonstrate a causal effect between sofosbuvir and cerebrovascular events or hypertension. In other words, there was insufficient evidence to list these as Black Box Warnings. Importantly, in Japan, the HCV epidemic had a 10-year head start and so the age-related cohort became an important factor. More people in Japan with HCV are older, and thus more likely to have a higher incidence of hypertension and cerebrovascular disorders; however, surprisingly, the researchers found that when adjusted for age, there were actually fewer incidences of these events in the corresponding HCV population. We are so fortunate in Canada that access restrictions are being removed; however this is not the case everywhere and it is so important that we remove barriers to treatment access. One barrier is the reliance on treatment by specialists instead of by primary care physicians. “The frontline of treating hepatitis C will be in primary care,” says Norman L. Sussman, MD. Except for the most complicated cases, primary care clinicians can easily manage this disease. The old days were horrible because interferon had so many side effects and patients were calling you every other day,” he told Healio Family Medicine. “Now it’s different. It’s really a question of making a few observations, then seeing the patient at the beginning, at 4 weeks and 12 weeks after they’re finished, there’s really very little [primary care physicians need] to do.” PCPs can play significant role in patients overcoming hepatitis C.
The other barrier is cost. Both Italy and Brazil are fed up with the prices they have to pay to treat their citizens. On March 29, the Italian Health Minister officially approved personal importation (by individuals for their own use) of generic drugs when the version licensed in Italy is inaccessible to that individual due to price. Italian health service insurance covers hepatitis C medications for many; this directive affects those who either do not meet current treatment criteria, or who are experiencing delays due to lack of clinical treatment capacity, and do not want to wait Italy: Hepatitis C, green light to the purchase of generic drugs abroad). Totally reasonable policy. Is the rest of the world listening?